Two clubs of Madrid, Spain can win the 2016 Soccer Champions league ? Who will be the winner between Real Madrid and Atlético Madrid ? 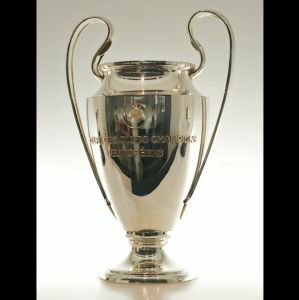 The Real Madrid team has already won 10 times the UEFA champions league and this year, they are once again in final, ready to add an eleventh cup on their list. On the other side, the Atlético Madrid will try to win their first Champions league title, after two losses in final, in 1974 and more recently in 2014. In 2014, their oponent was… the Real Madrid ! This 2016 final will then be a revenge of the 2014 game, where the Real Madrid easily won 4-1. Again, Spain is a major country for soccer, with two spanish teams in the final. The Atlético Madrid defeated FC Barcelona, another big team in quarter finals, and then defeated the 2013 champion Bayern Munich. On its side, the Real Madrid won against Wolfsbourg in quarter finals and beated Manchester City in semi finals. You have the whole month of May to guess who will the 2016 Champions league champion. Once you have made your mind, vote in the poll below ! This entry was posted in Soccer and tagged 2016, Atlético MAdrid, champions, final, league, Real Madrid, soccer. Bookmark the permalink.